Brace yourself for a very serious recap. 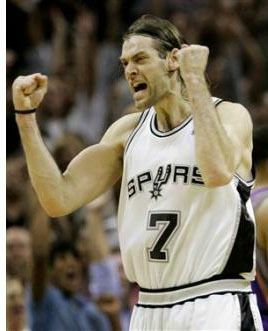 Funny story: I missed the most important Spurs-Mavericks game of all time. 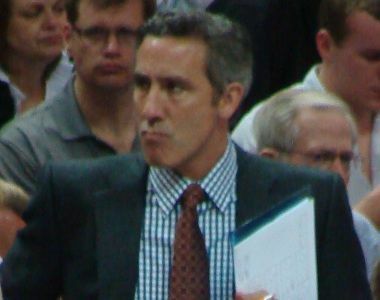 It was Game 7 of their semifinal series in 2006 and because of stupid scheduling, I had to be on a plane from San Francisco to San Diego during the second half and overtime. I’ve been meaning to watch it, but I’ve been busy. No spoilers, please. Friday’s game between these two venerable Texas rivals was less important. 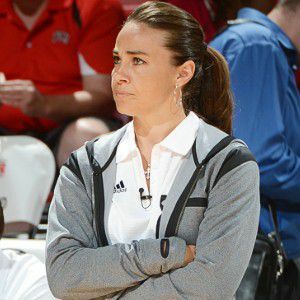 The Spurs, locked into the two-seed and nursing various booboos, played with an eight-man skeleton crew, with Kawhi Leonard, LaMarcus Aldridge, Tony Parker, Manu Ginobili, Pau Gasol, Danny Green and Dejounte Murray all sitting out. 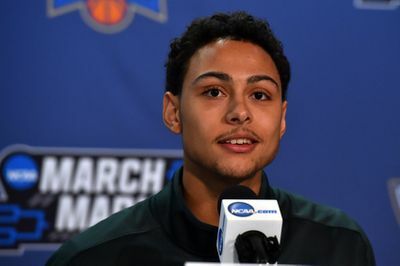 They won anyway (of course they did) with Bryn Forbes, who’s making $543,471 this season, singlehandedly outscoring $64,262,588 worth of Mark Cuban’s largesse 27-22, though to be fair Forbes did attempt two more shots than Dirk Nowitzki, Harrison Barnes and Wes Matthews combined. Yeah, the Mavericks, with their off-season imminent, weren’t taking the game terribly serious either. The two guys who logged the most floor time for them were Dorian Finney-Smith and Yogi Ferrell, just like we all figured back in October. 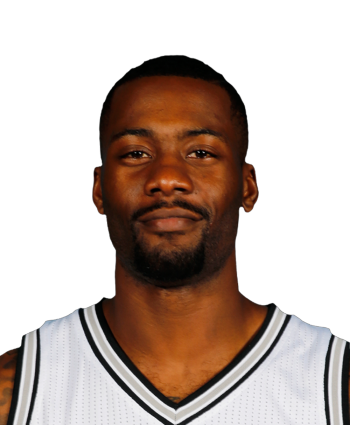 Meanwhile, Jonathon Simmons and Davis Bertans had 38 minutes apiece of corporal punishment for the Spurs. 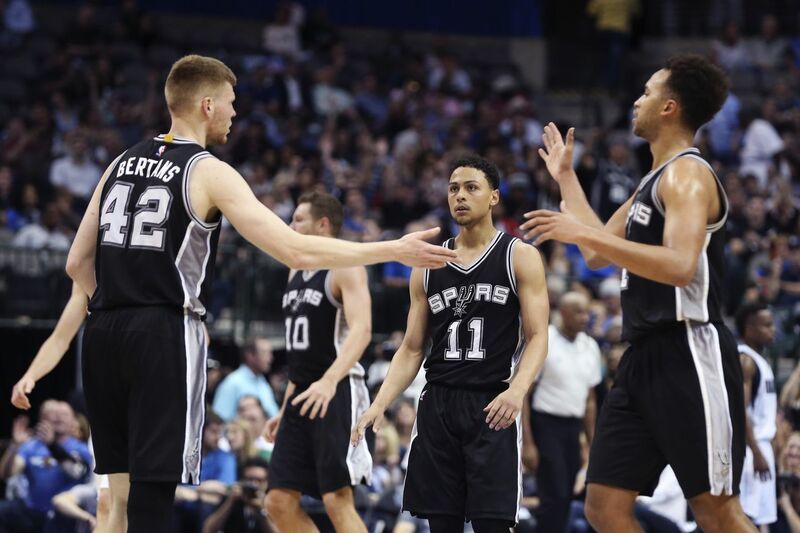 Bryn Forbes becomes the first rookie in Spurs history to score 27+ points with 4+ three-pointers. Or we can dismiss this trifle of a game entirely and have some fun. Now, I don’t really watch or pay attention to any of the sports debate shows anymore, but one of my daily habits is to listen to “The Dan Le Batard Show” every day. They don’t take sports too seriously and their sense of humor just works for me, even though I don’t always agree with Le Batard’s opinions. Tom Thibodeau looks like the guy in an antacid commercial uncomfortably eating a chili dog while pulling at his collar for relief. Jeff Van Gundy looks like the Queen of Hearts. Joey Crawford looks like an animated turtle walking around without his shell. Mark Cuban looks like a Roman senator who conspired against Caesar. Stan Van Gundy looks like a cartoon chef you find on a generic pizza box. Klay Thompson looks like the doorman at a fancy hotel. Charles Barkley looks like a thumb. DeAndre Jordan looks like a cartoon moose. 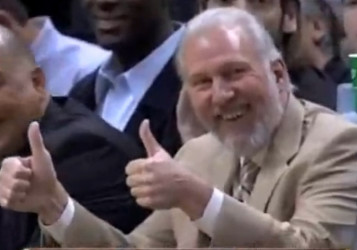 Gregg Popovich looks like the guy in the nursing home, in the wheelchair, who tries to bite people when they walk by. My god, that’s perfect. No one’s topping that. With that written, here are my humble submissions for Spurs “Looks Likes.” Enjoy. 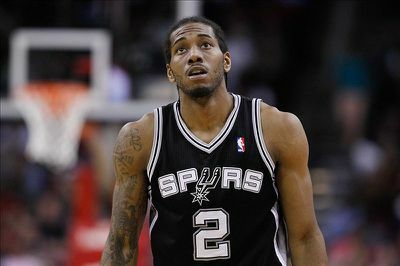 Kawhi Leonard looks like he can’t believe you did something that stupid but he’s too polite to say anything. Tony Parker looks like the villain in the next James Bond movie. and Dewayne Dedmon look like his bodyguards. Dejounte Murray looks like he’s always facing a wind machine. 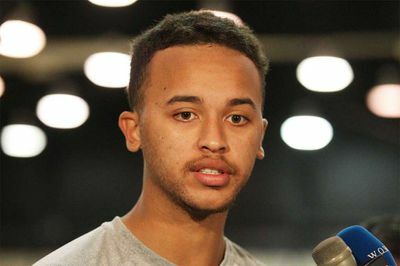 Bryn Forbes looks like an actor they’d hire to play the bit part of Stephen Curry in a movie about LeBron James starring LeBron James. 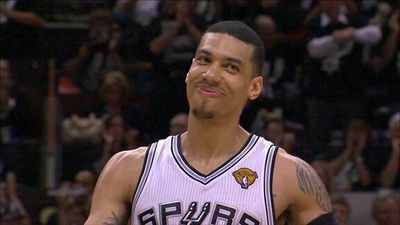 Danny Green looks like the friend in the beer commercial who doesn’t have any speaking lines. Manu Ginobili looks like a waiter in a foreign restaurant who you think is passionately describing the special in his native tongue to you, an American tourist, but is actually orating a lewd, rather graphic soliloquy to your wife on a dare from his busboy friends, Nicola Laprovittola and Paco Garino. The head chef, Fabricio Oberto, is not amused. 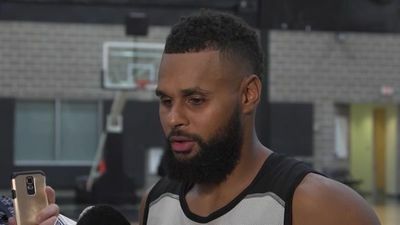 Patty Mills looks like the frontman of an annoying band who is just as shocked as by his popularity as you are but pretends otherwise when groupies are around. Aron Baynes looks like he breaks bottles of beer over his own head to hype himself up for a bar fight. Chip Engelland looks like that lawyer and you better believe he’ll be looking to close a deal of his own with that ex-wife at a bar the next weekend. 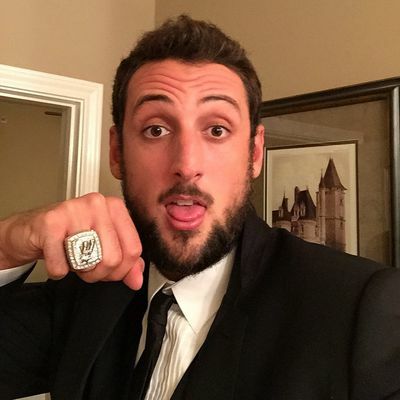 Marco Belinelli looks like a character in a “Saturday Night Live” skit from the early 90’s about a foreign client who has difficulty understanding appropriate behavior in the American workplace. 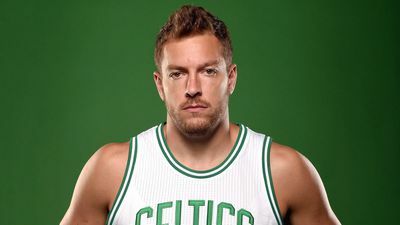 David Lee looks like someone who hangs out with Mark Wahlberg. 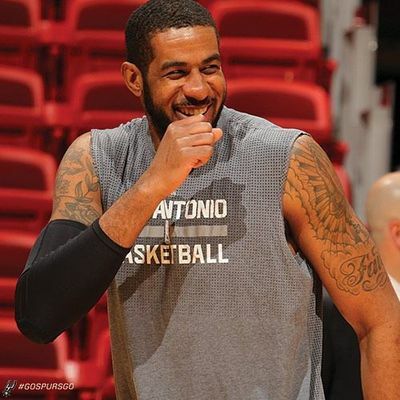 LaMarcus Aldridge looks like the veteran detective who likes to bend the rules and enjoys cracking wise to his sergeant. 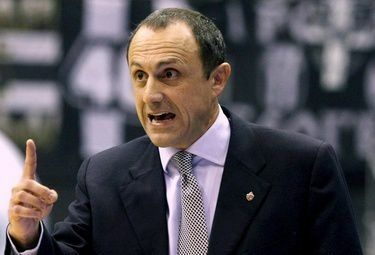 Ettore Messina is that sergeant, overburdened and underfunded, forever having to put up with Aldridge’s antics. 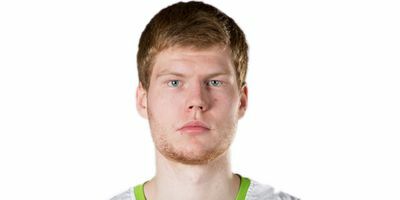 Davis Bertans is the rookie partner, terrified that Aldridge’s refusal to obey orders will get him sent back down to parking meter duty. 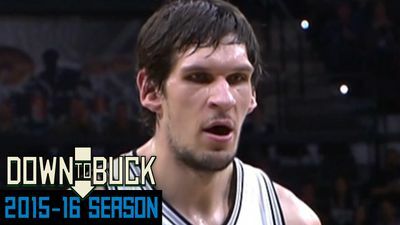 Boban Marjanovic looks like Chernobyl. 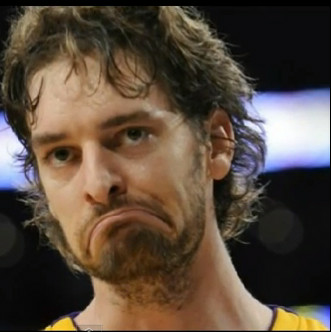 Pau Gasol looks like a flustered farmer who keeps getting outsmarted by the animals in a Pixar movie. 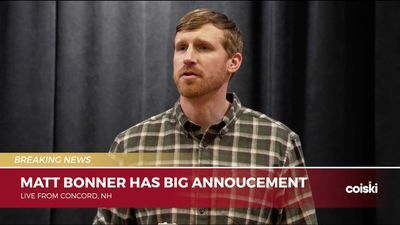 Matt Bonner looks like a small-business owner who’s struck it big and gone national with his boutique lemonade. 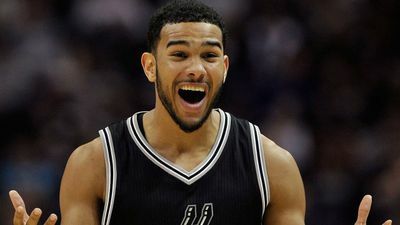 Cory Joseph looks like he has to wait in line outside of the club for hours. 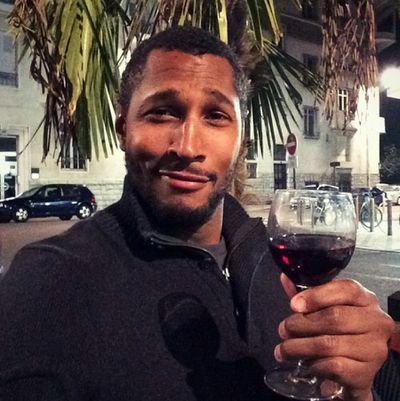 Boris Diaw saunters past the line and gives the bouncer the most nuanced of head nods as he and his large entourage are warmly welcomed inside the club by the bouncer. 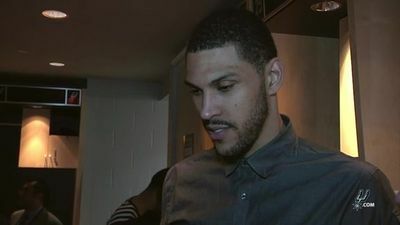 Jeff Ayres is that bouncer. 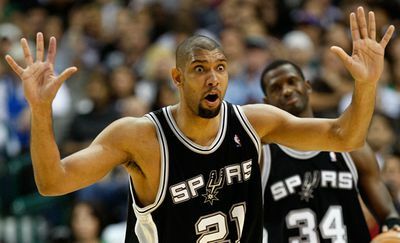 Tim Duncan looks like the sitcom dad who rolls his eyes and shakes his head at the way his children, who he’s been trying to instill the value of hard work to, are being spoiled by their grandfather, the very same man who made him mow lawns and get a paper route every summer. That grandfather, of course, is Gregg Popovich. 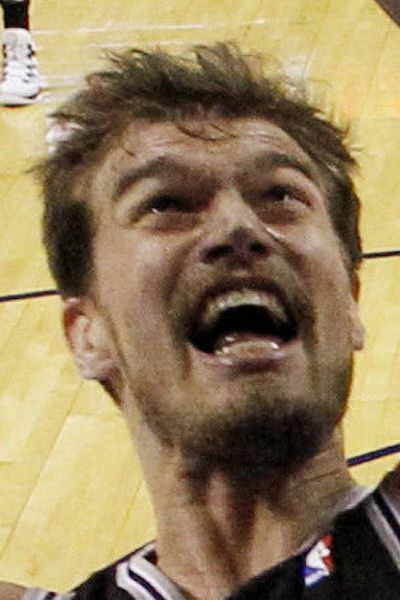 This concludes your very serious Spurs-Mavericks recap.